The Global Volcanism Program has no activity reports for Segula. The Global Volcanism Program has no Weekly Reports available for Segula. The Global Volcanism Program has no Bulletin Reports available for Segula. 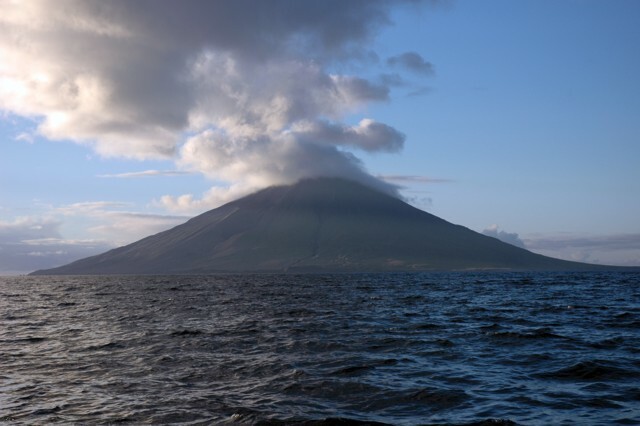 The 6 x 7 km island of Segula east of Kiska volcano consists of a conical stratovolcano cut by a prominent NNW-SSE-trending fissure that extends to sea level at both ends of the island. The northern end of the fissure is flooded by the sea to produce a long, narrow cove. Segula was constructed above a 100-m-deep submarine platform that extends eastward to Khvostof and Davidof islands. A submarine debris-avalanche deposit extends up to 18 km offshore to the north. 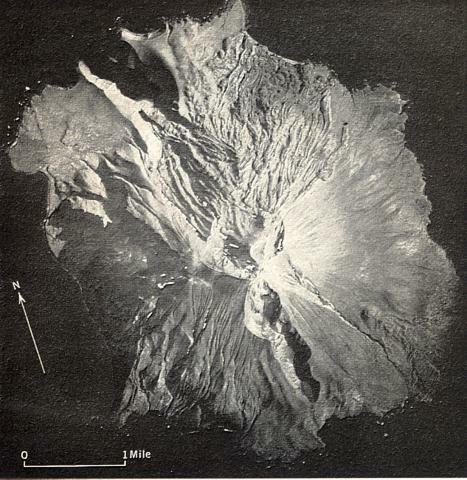 The summit contains a small, poorly defined caldera that is partly overtopped on the south by a cinder cone that forms the high point of the island and on the north by extensive lava flows that reach the NE coast along a broad front. Another lava field on the SE coast originated from a cinder cone at 300 m elevation on the SE flank. No historical eruptions are known, but Nelson (1959) considered fresh lava flows on the N flank to possibly be only a few hundred years old. The Global Volcanism Program is not aware of any Holocene eruptions from Segula. If this volcano has had large eruptions (VEI >= 4) prior to 10,000 years ago, information might be found on the Segula page in the LaMEVE (Large Magnitude Explosive Volcanic Eruptions) database, a part of the Volcano Global Risk Identification and Analysis Project (VOGRIPA). There is no Deformation History data available for Segula. There is no Emissions History data available for Segula. A prominent N-S-trending fissure that extends to sea level at both ends cuts across Segula volcano, located near the western end of the Aleutian arc. The irregular topography on the north side of the island is formed by an extensive lava field that was erupted from the summit crater and blankets the NE flank of the volcano to the coast. A smaller lava field at the lower right originated from a cinder cone on the lower SE flank. A cinder cone constructed along the south rim of a small caldera forms the 1153 m high point of the island. Photo by U.S. Air Force (published in U.S. Geological Survey Bulletin 1028-K). The 6 x 7 km island of Segula is seen offshore from the SW. The conical stratovolcano cut by a prominent NNW-SSE-trending fissure that extends to sea level at both ends of the island. 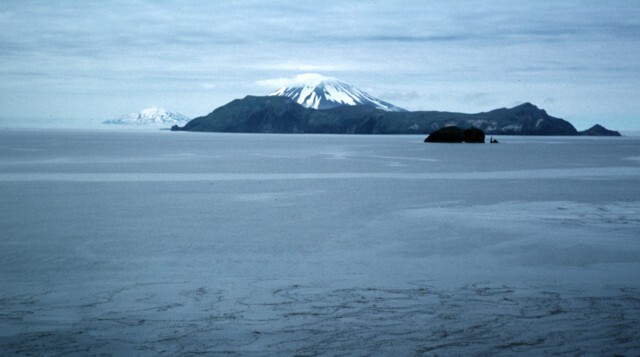 The summit of Segula contains a small, poorly defined caldera that is partly overtopped on the south by a cinder cone that forms the 1153 m high point of the island. No historical eruptions are known from Segula, but fresh-looking lava flows are found on the north flank. Photo by Christina Neal, 2005 (Alaska Volcano Observatory, U.S. Geological Survey). Large Eruptions of Segula Information about large Quaternary eruptions (VEI >= 4) is cataloged in the Large Magnitude Explosive Volcanic Eruptions (LaMEVE) database of the Volcano Global Risk Identification and Analysis Project (VOGRIPA).